Businesses are saving up to 80% on their monthly phone bills, increasing efficiencies and getting a whole host of innovative features by switching to a VoIP (Voice over IP) phone service. 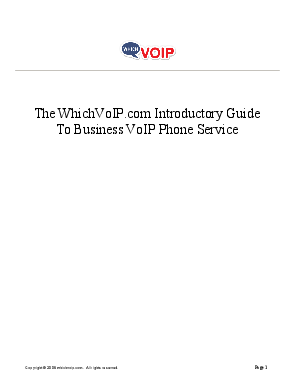 Whichvoip.com has formed strong partnerships with best in class business VoIP service providers since 2005. As a result, WhichVoIP has become a leading online destination for businesses seeking the best VoIP solution that fits their needs at the most competitive price. Register now to receive FREE, no obligation, business VoIP phone service quotes to see how VoIP can significantly cut down on the cost of your business phone bills.